Working under their pseudonym “Juan James” (Sebastian ErraZuriz’s first name Juan, DeWoody’s first name is James) both artists created boards destined to raise awareness and funds for Skateistan, an institution teaching working with children in Afghanistan. Both boards attempt to tackle through humor, irony and wit the delicate subject of extreme religious fundamentalist policies in Afghanistan. 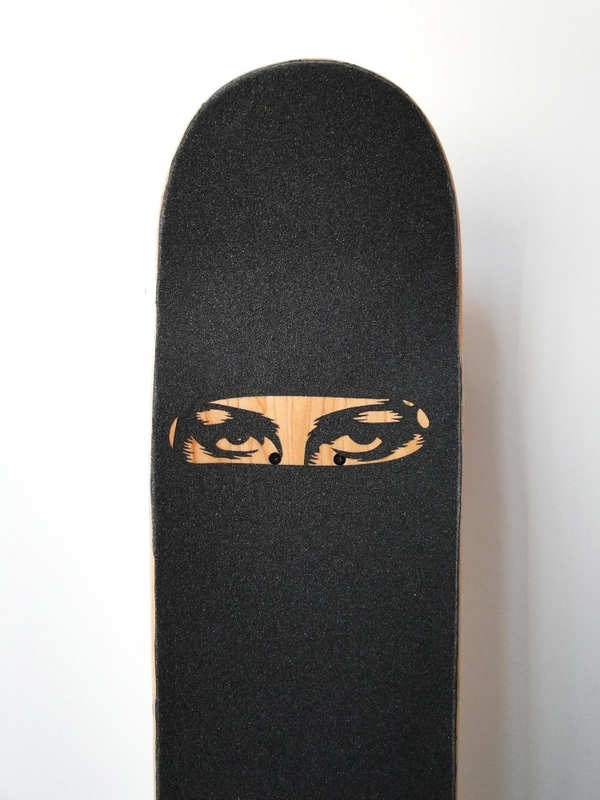 “Burka Board” and “Prayer Board” are both limited edition skateboards fabricated with laser cut grip tape. Both boards will be exhibited and auctioned to raise funds for Skateistan in an event in SoHo New York this Friday 20th of august. Skateistan is Afghanistan’s first skateboarding school, which engages growing numbers of urban and internally-displaced youth in Afghanistan through skateboarding, and provides them with new opportunities in cross-cultural interaction, education, and personal empowerment. With a 50% of the population under the age of 16, skateboarding classes are a first starting point for a series of other recreational and educational activities. The exhibition and fundraising event will include over 50 different customized boards made by a series of artists, designers and skateboarders who are trying to collaborate with Skateistan.